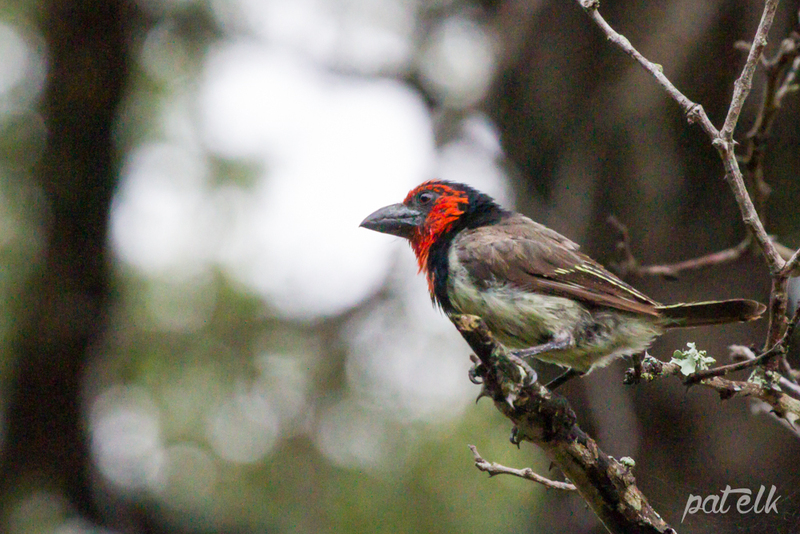 The Black-collared Barbet (Rooikophoutkapper, Afrikaans name) occurs throughout the Kruger National Park, mostly in wooded areas. 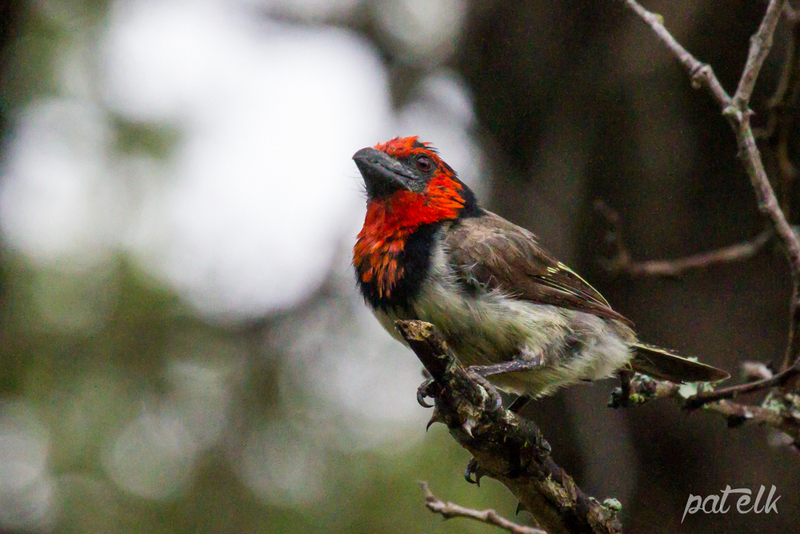 Their nests are usually excavated into tree stumps. Their main food is fruit and particularly figs. Please help with any advice .